While $1 billion is a lot of money, it's a drop in the bucket for Apple and its $262 billion cash hoard. But it's still enough to vault Apple into the top tier of tech-industry outsiders producing their own slates of television shows. Television is one of the few screens that has Apple hasn't conquered, but that may soon change. The world's richest company appears ready to aim for its own Emmy-worthy programming along the lines of HBO's "Game of Thrones" and Netflix's "Stranger Things." 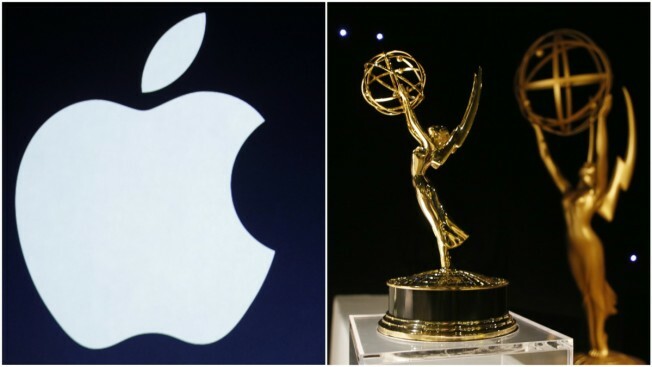 Apple lured away two longtime TV executives Jaime Erlicht and Zack Van Amburg from Sony Corp. in June and has given them $1 billion to spend on original shows during the next year, according to a Wall Street Journal report quoting unnamed people. The programming would only be available on a subscription channel, most likely bundled with the company's existing Apple Music streaming service. Apple declined to comment. Hollywood has long shuddered at the thought of Apple training its sights on TV the way it once did on the music business. Almost 15 years ago, Apple's then-CEO Steve Jobs convinced record labels to let the company sell digital music on its iTunes store for 99 cents a single, a deal the music industry was happy to take in the face of growing music piracy enabled by Napster. Over time, though, Apple's dominance in digital music chafed music executives, who saw the company siphoning off a chunk of their profits. Movies and television have proven much harder for Apple to crack. The company's interest in transforming television has been an open secret for years, but Hollywood has so far spurned Apple's efforts to make itself an indispensable digital middleman for video. In a way, Netflix beat Apple to the punch with its ground-breaking video streaming service. Launched in 2007, that service pioneered "binge watching" of entire TV seasons on any device with an internet connection. That gave new life to existing shows such as "Breaking Bad," whose creator credits Netflix with its survival , and spawned the creation of other series tailor-made for bingeing. Netflix also helped unleash a crescendo of creativity in Hollywood. Follow-on rivals Amazon and Hulu also boast popular video streaming services, and mainstream broadcasters such as CBS and Walt Disney Co. — the owner of ABC and ESPN, among other networks — are also jumping in. All of that has increased the pressure on Apple to step up its game in TV — not least because the increasing popularity of streaming is hurting its business of renting and selling video from iTunes. Apple "doesn't want to be left behind," said Debby Ruth, senior vice president of consumer research firm Magid. "This is a way for them to put a stake in the ground." This year, the company released its first two original series — "Planet of the Apps" and "Carpool Karaoke" — on its Apple Music service, which has 27 million subscribers. But neither show has generated much buzz or critical acclaim. The recent hiring of Erlicht and Van Amburg signaled Apple's intent to make bigger splash. The executives have helped orchestrate several TV hits, including AMC's "Breaking Bad," and more recently branched out into video streaming with "The Crown," which landed on Netflix last year and is up for 13 Emmy nominations in the Sept. 17 ceremony. Apple also has a not-so-secret weapon: hundreds of millions of iPhones and iPads already in the hands of faithful fans. It could easily transform those into a marketing platform to lure users to its TV service. But the company has a steep hill to climb. Netflix has more than 100 million worldwide subscribers and a video library that will add 1,000 hours of original programming this year alone. And HBO has become the Emmys' pacesetter since branching into original programming 20 years ago. Both companies vastly outspend Apple's reported $1 billion production budget. HBO spends about $2 billion annually on its programming, which garnered 111 nominations in this year's Emmy Awards — more than any other network. Netflix, which boasts the second most Emmy nominations with 91, expects to spend $6 billion on programming this year. Apple is still experimenting in TV, said Gene Munster, a longtime Apple watcher and managing partner with the research and venture capital firm Loup Ventures. "In five years, I bet Apple will either be investing $10 billion a year in content or zero," said Munster. "It's going to be one or the other." Jobs discussed his ambitions to shake up TV with his biographer Walter Issacson shortly before his death in 2011. "He very much wanted to do for television sets what he had done for computers, music players, and phones: make them simple and elegant," Isaacson wrote. But no Apple television ever materialized. Instead, Apple has periodically upgraded its Apple TV, which isn't a television — just a video streaming player that connects to TVs. That device has been losing market share to other streaming players made by Roku, Amazon and Google, according to the research firm Park Associates. Building a successful programming line-up could give Apple more leverage to license shows from other Hollywood production houses. It might even embolden the company to finally release its own streaming TV set. Apple will presumably also want to emulate Netflix's ability to exploit usage data to determine what it thinks audiences want to watch. Netflix's data analysis has helped it attract 25.5 million more subscribers in the U.S. alone since the February 2013 debut of its first original series, "House of Cards." But if Apple decides it needs a little more help in video streaming, Munster thinks there's in one-in-three chance that it will buy Netflix to instantly gain the cachet and expertise in TV programming that it craves.